This patient requested a facial appearance that would match her active lifestyle, a youthful and energetic look. 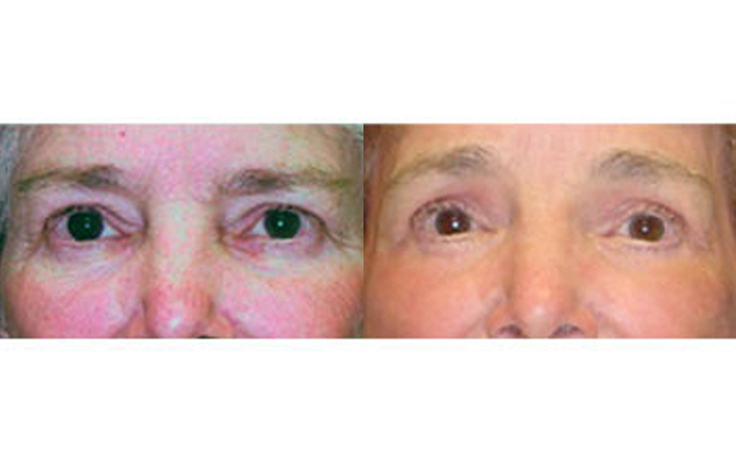 Dr. Rodriguez performed an Upper Eyelid Lift as part of a total Facelift. This patient in her 70's came into Dr. Rodriguez in Baltimore, Maryland requesting a facial appearance that would match her active lifestyle. Dr. Rodriguez performed an Upper Eyelid Lift procedure on the patient, which tightened the dropping in her eye area and gave her that youthful, energetic look that she desired. This procedure was part of a total Facelift. Patients depicted in our Blepharoplasty gallery have provided their written consent to display their photos online. Every patient is unique, and surgical results may vary. Please contact us if you have any questions.